In my last post, I asked you, my readers to guess where I went during my third day in Manila. None of you got it right. Well, that was to be expected since who would have guessed that the place I went to was a graveyard! 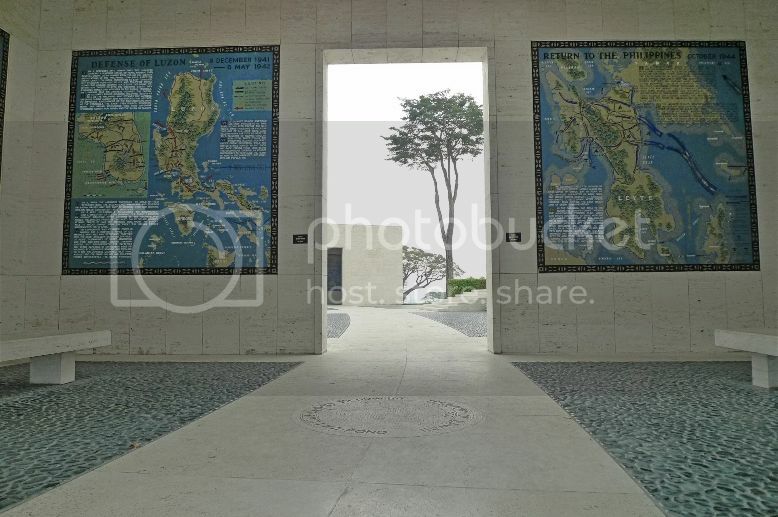 Or to be exact, the Manila American Cemetery And Memorial. Now why would I want to go visit a cemetery of all places? 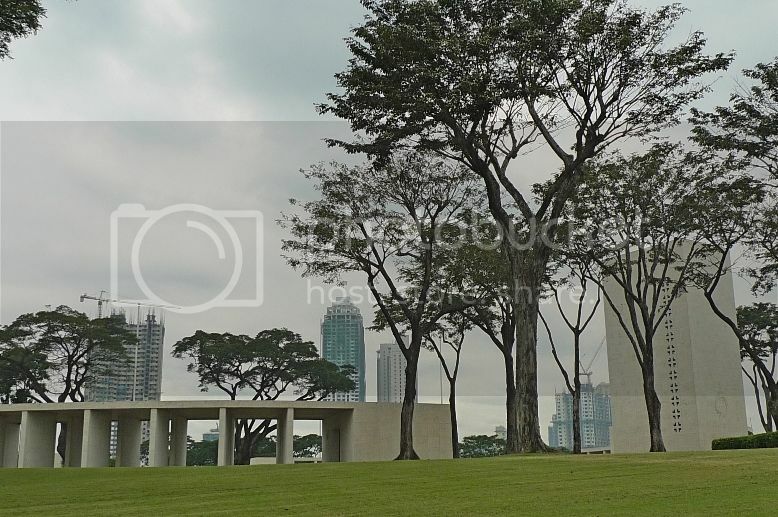 Believe it or not, one of the most interesting tourist attractions in Manila is the Chinese Cemetery! No kidding. 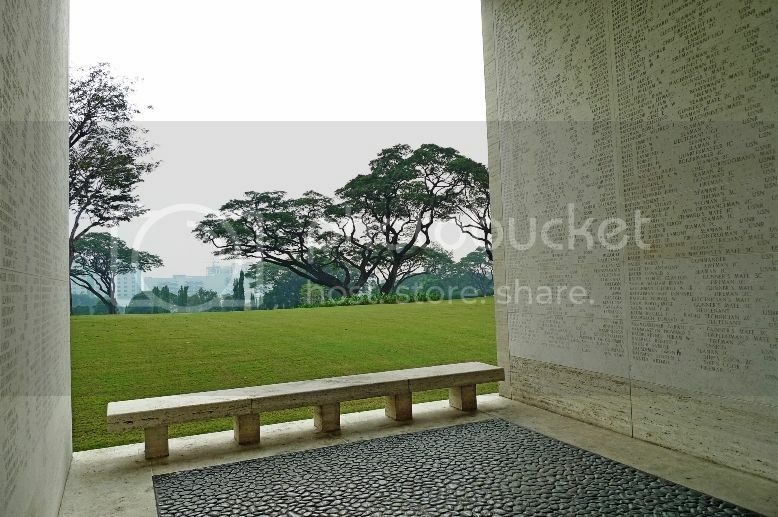 You can even have guided tours to the Chinese Cemetery. But no thanks, really. I don't like visiting Chinese graveyards during my travels. It sounds kind of macabre and not my type of thing. 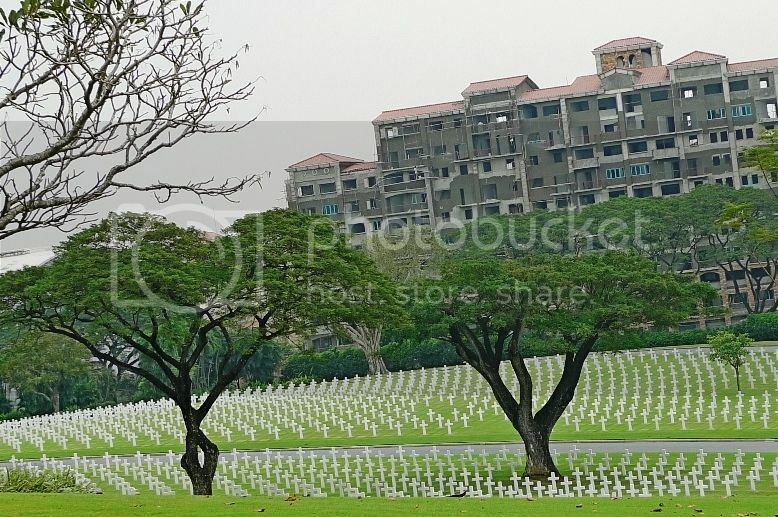 So why did I end up visiting The Manila American Cemetery And Memorial? 1. A Christian or Western cemetery sounds less scary, at least to me. Do you agree? 2. 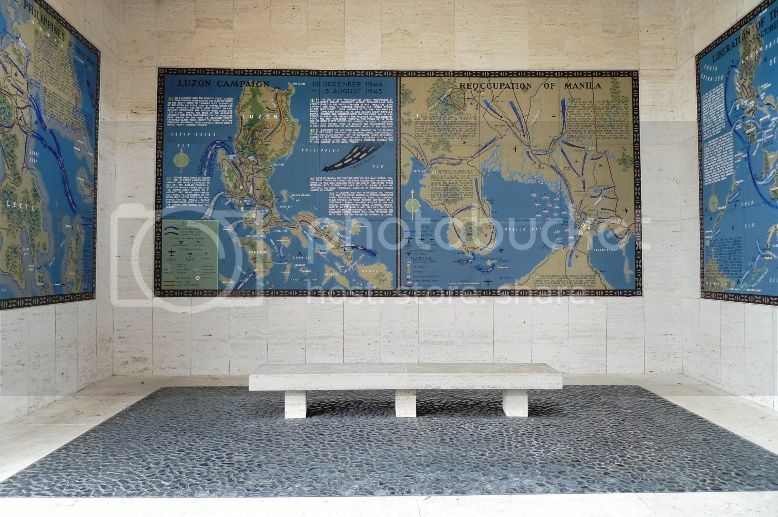 I have seen a picture somewhere of the Manila American Cemetery and thought it would be nice to take some photos there. OK, call me crazy if you like! 3. I wanted to escape the horrendous traffic in Manila. 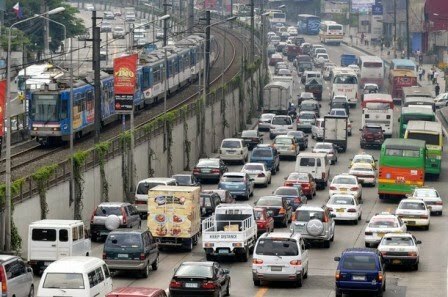 Oh yes, did I mention before about the traffic jam in Manila? If you think Bangkok has the worst traffic jam in this part of the world, think again! Having rode in a taxi and sat on a bus in Manila, I can now officially tell you that Manila tops my list of Asian cities with the worst traffic jam! 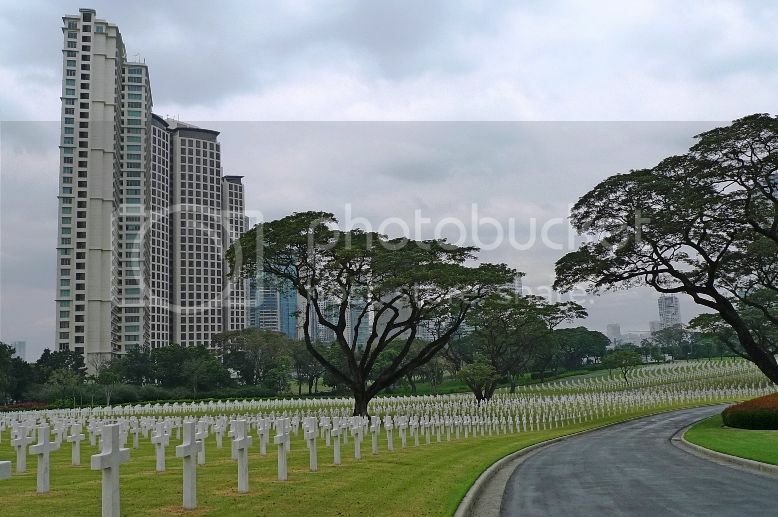 So on the morning of my third day in Philippines, I took a taxi from my hotel in Ermita district to the Manila American Cemetery And Memorial in Fort Bonifacio. Imagine my amusement when the taxi driver said he did not know where it was! 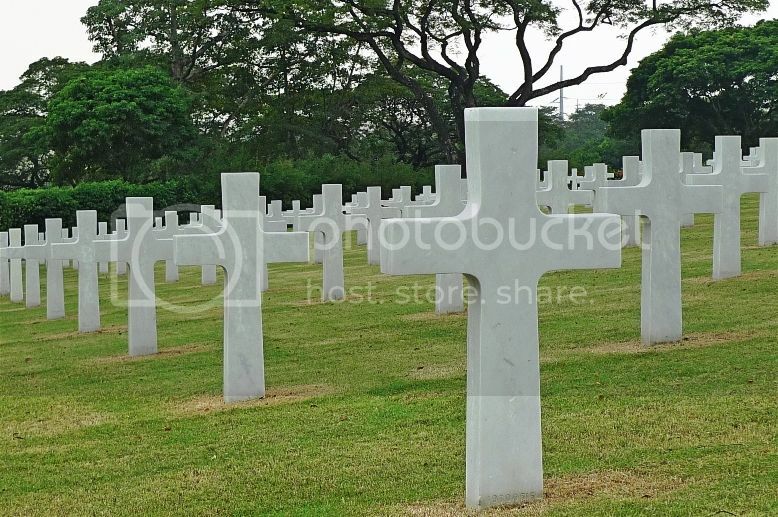 That just shows how often tourists visit the cemetery in Manila! Haha! Of course, I was more than prepared for that. I had my map with me and showed it to him. We passed by the high class, economic hub of Makati City. I took this picture of the modern city with skyscrapers along Ayala Avenue. 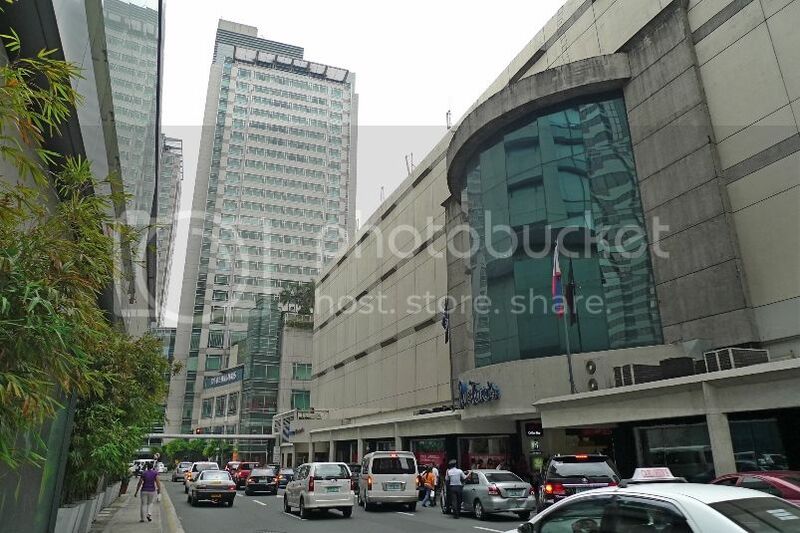 Makati is one of the 16 cities that make up Metro Manila, one of the most populous metropolitan areas in the world. It was here that I spent the remaining of my third day visiting some of the major high class malls in the Philippines. 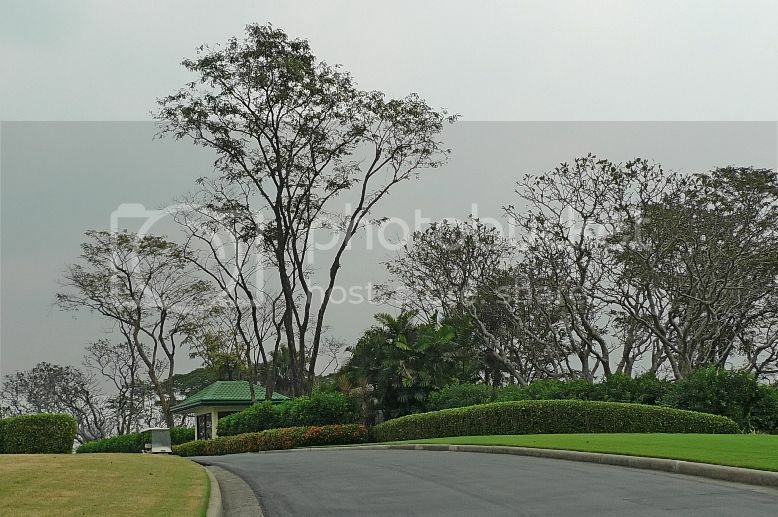 Soon we entered McKinley Road and passed by the wealthy, gated neighbourhood of Forbes Park. 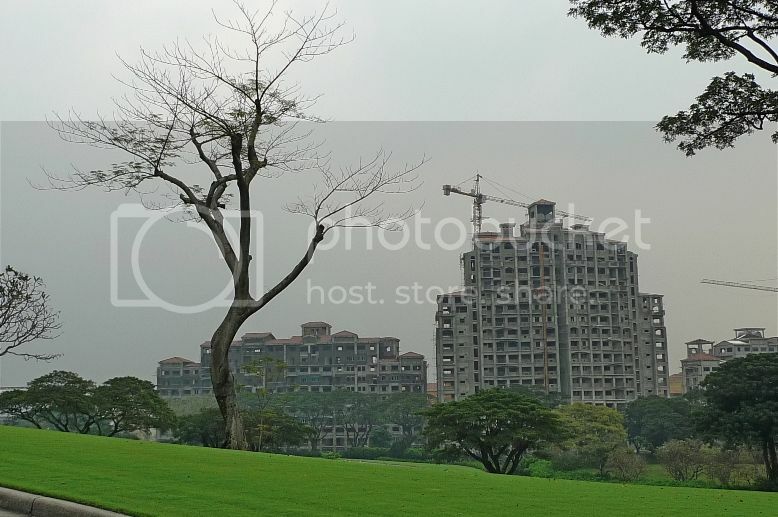 Here is home to business tycoons and wealthy expats! 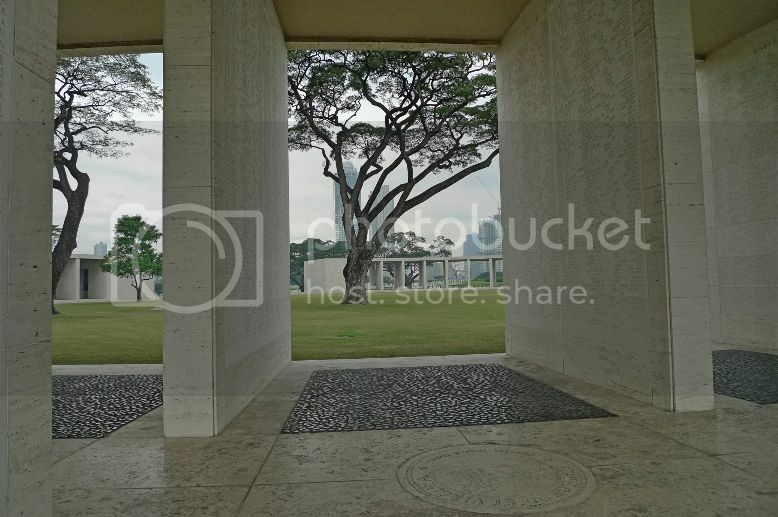 Before long, we reached the Manila American Cemetery and Memorial. A guard at the entrance stopped us and asked the purpose of my visit. I must be the one and only tourist that weekday morning! LOL! The guard then proceeded to pass me a paper with a set of rules listed that visitors must follow. I was most amused that one of the rules stated that I must be properly dressed. I asked the guard if wearing a pair of T shirts and shorts were considered 'proper' and luckily he said it was OK. Otherwise, I may have to make a trip back to the Makati City and shop for some decent clothes. Haha!! 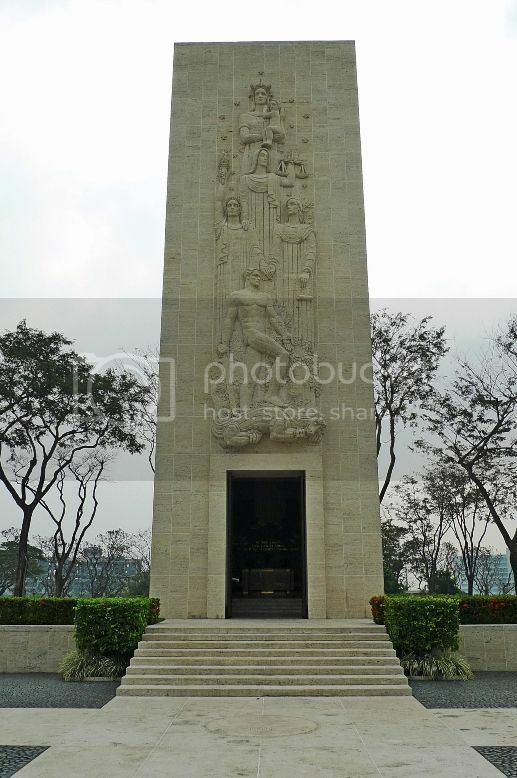 As my taxi driver drove along the road towards the parking area, I saw acres and acres of white marble crosses on green lawns. It was the most magnificent sight to behold! Immediately I felt a sense of peaceful bliss and quiet calmness. Such a huge contrast to the noisy and busy streets of Manila! It was quite a drive all the way up to the car park. Along the way, I stopped my driver and alighted from the taxi to take some pictures. 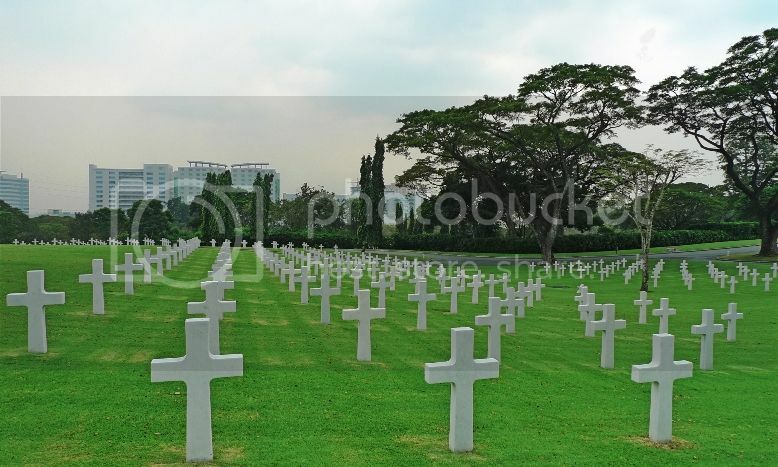 With over 17,000 graves marked by white crosses spanning over 152 acres or 615,000 square metres, the Manila American Cemetery and Memorial is arguably the largest cemetery in the Pacific for American soldiers killed during World War II. 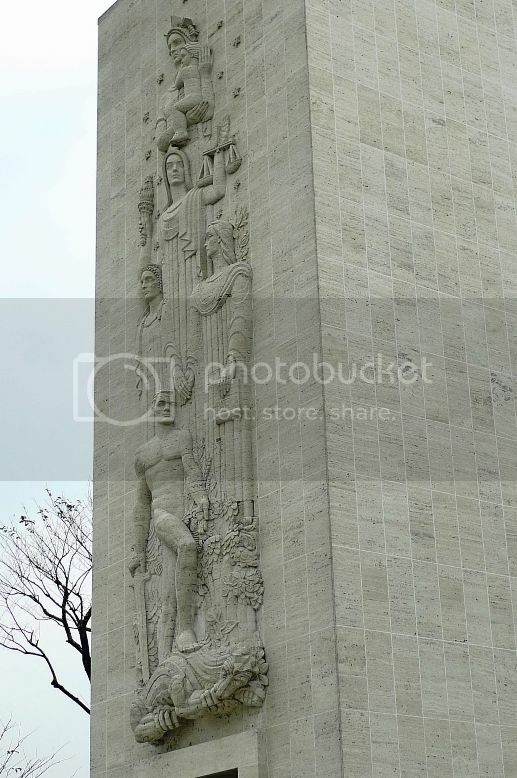 It also holds the remains of war victims from the Philippines and other nations, most of them killed during the invasion of Philippines by the Japanese from 1941-1942. I was really quite impressed with the cemetery! The place was clean and the landscape very well maintained. 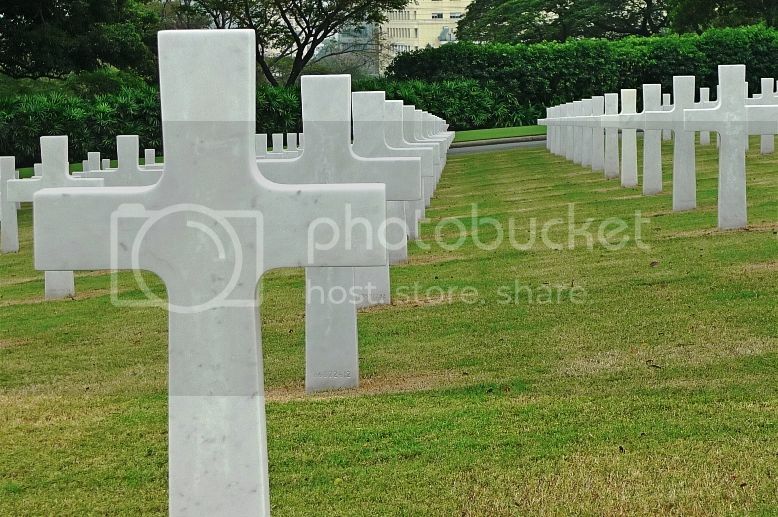 The rows and rows of white marble crosses were all neatly arranged. Simply awesome. My taxi driver told me that despite living in Manila all his life, this was his first time visiting this cemetery. I chuckled on hearing that. He soon reached the car park up the hill and parked his car there. He said he would wait for me while I explore the place. There is a visitor's centre next to the car park but I found it unmanned. Probably not many tourists drop by during the weekdays. In fact, there were not many people around, save for me, my driver, and a couple of workers tending the lawn. I would say it's the perfect place to spend time alone by yourself if you don't mind the company of the dead and buried. Near the car park were two structures. 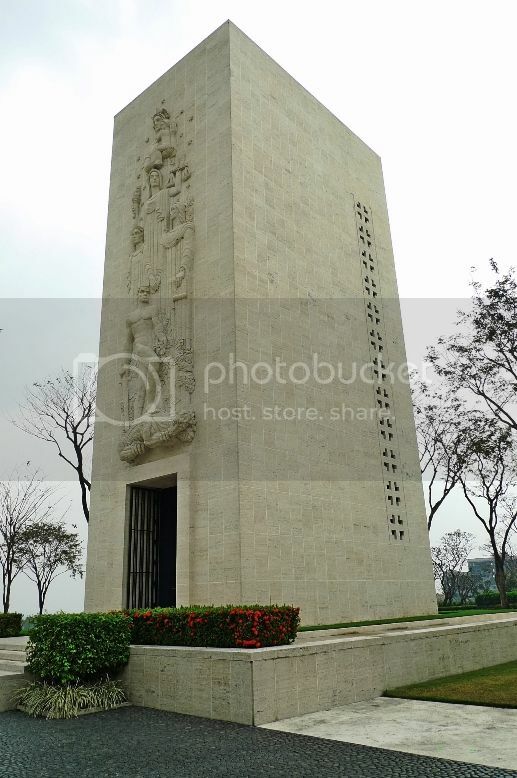 One, a tall white building was the Chapel and the other, a circular shaped building was the Memorial. 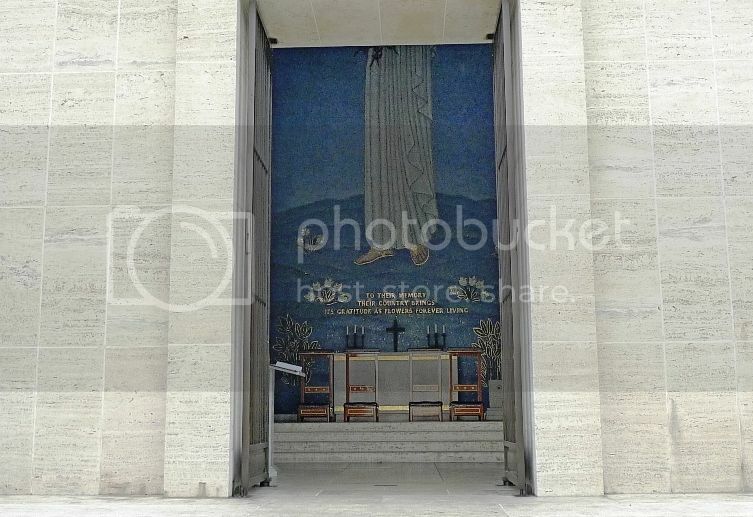 This is the 60-foot stone Chapel, decorated with high relief sculptures. 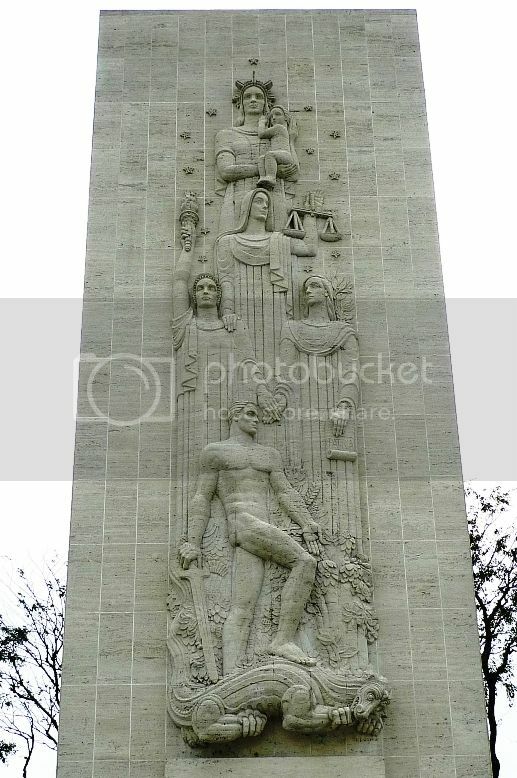 A close up shot of the sculptures from the side. I did not enter the Chapel, but here's a close up shot of the entrance. Opposite the Chapel is the circular shaped Memorial. 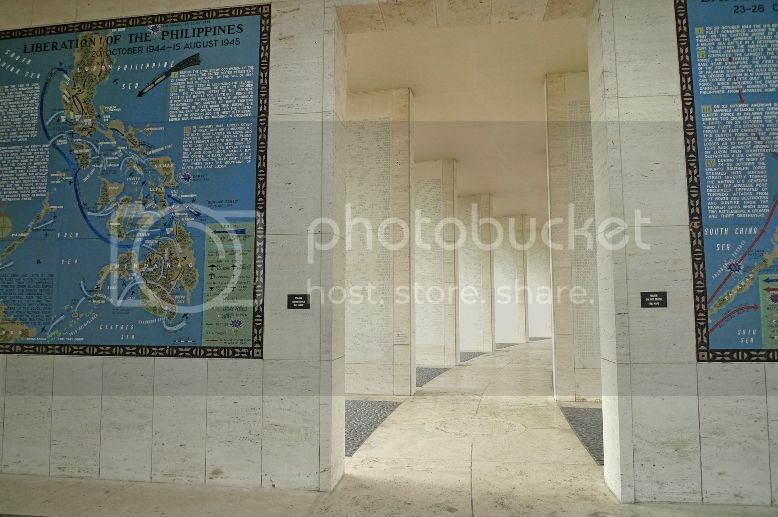 Upon entering, I could see maps on the walls which recall the achievements of US Armed Forces in the Pacific, China, India and Burma. 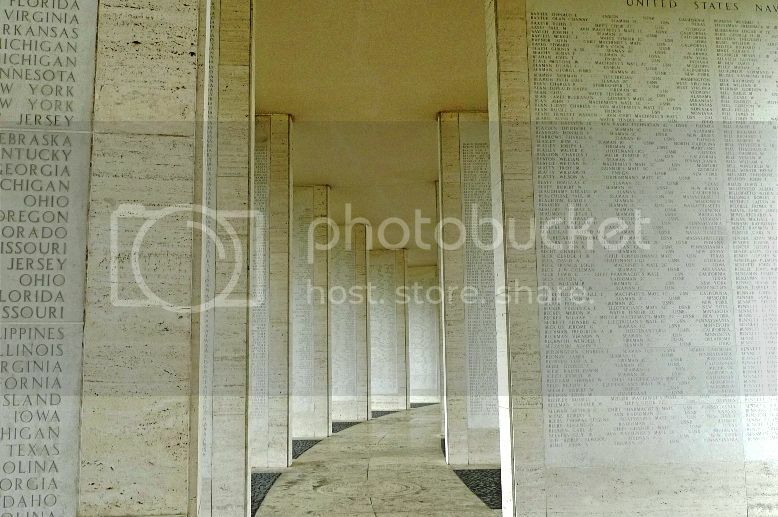 View from the inside of the Memorial looking out. 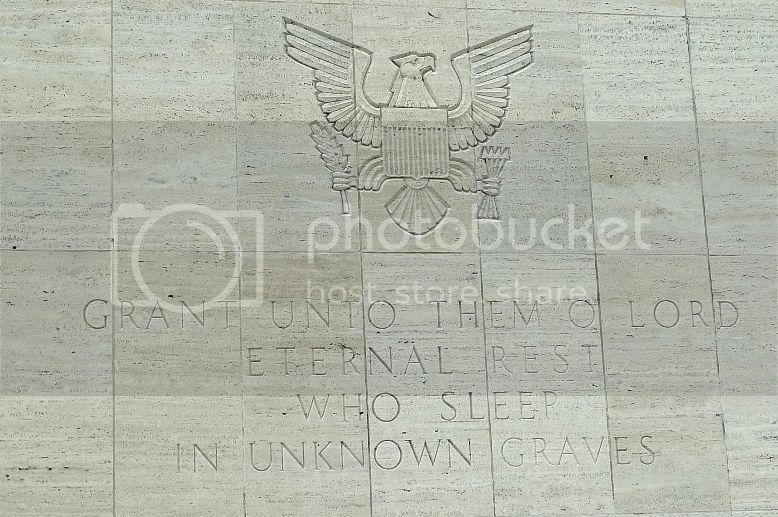 On the Trani limestone pillars of the Memorial building were names of thousands of victims of World War II. Their remains were never found and are still listed as MIA (Missing In Action). 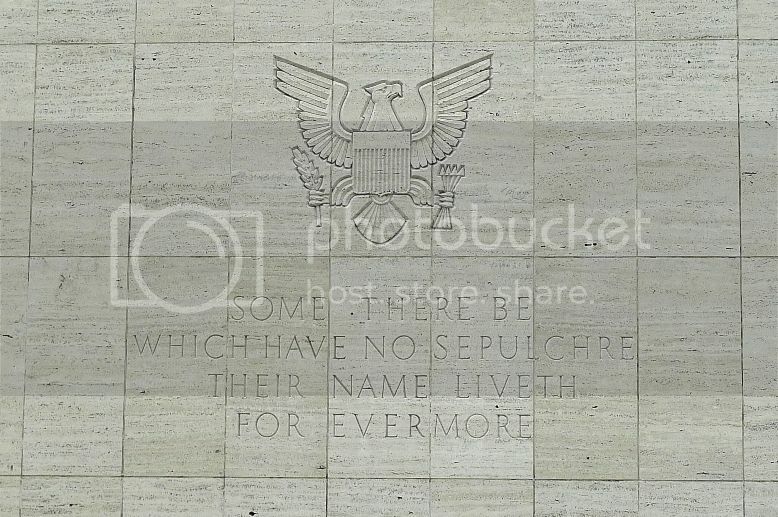 While reading those names on the walls, I felt the atmosphere eerily quiet. 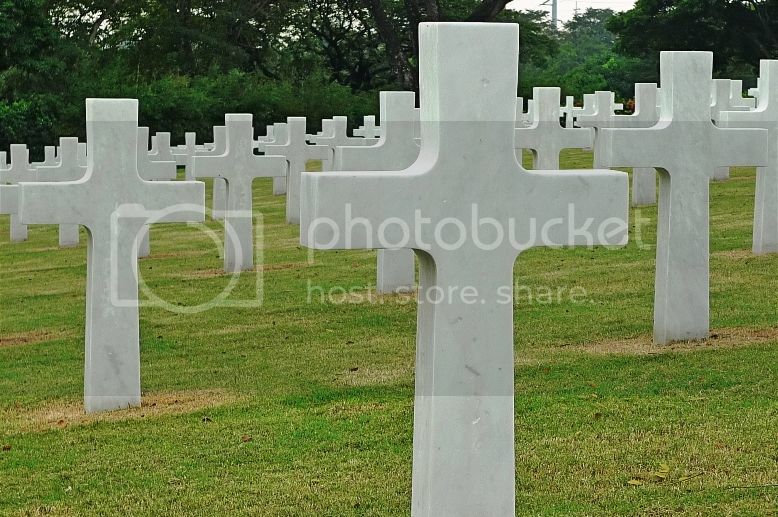 Not all were names of American soldiers. 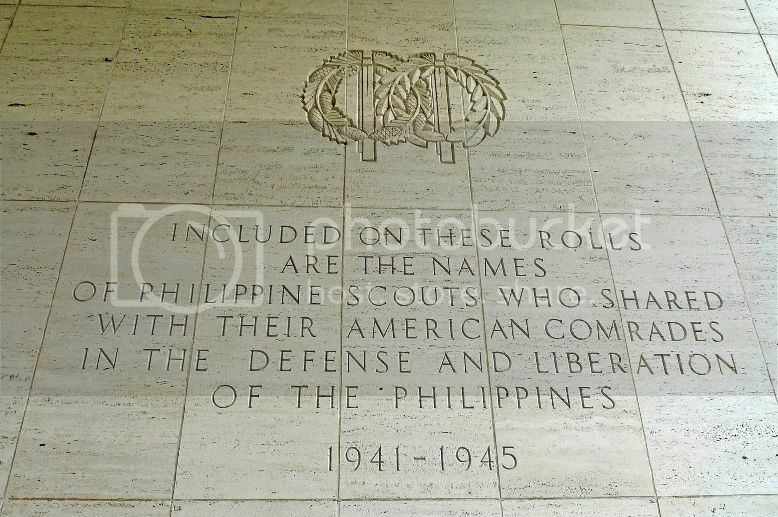 The list of names also included Filipinos who had fought for their country alongside the American soldiers. 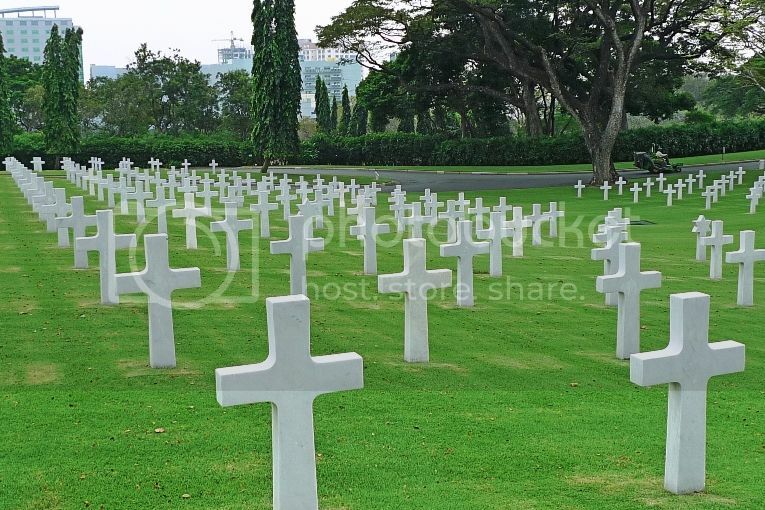 It was estimated that about 36,282 who gave their lives were never found. 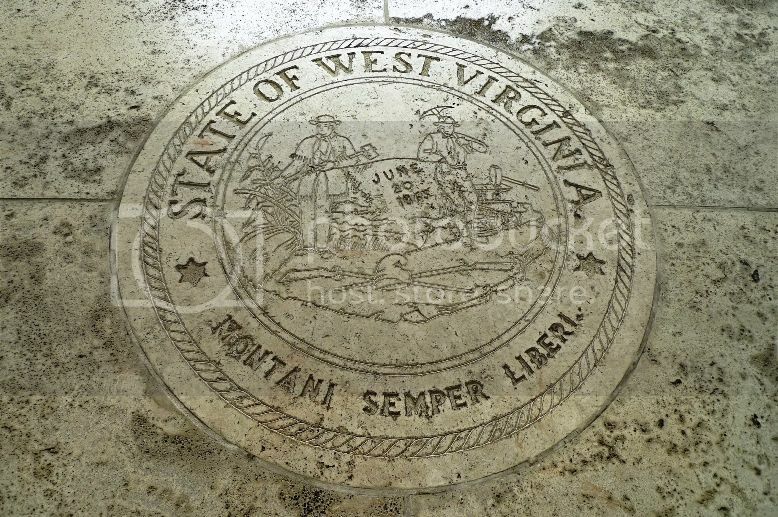 Carved on the floor are the seals of the American states and its territories. I took a few more photos of the interior. 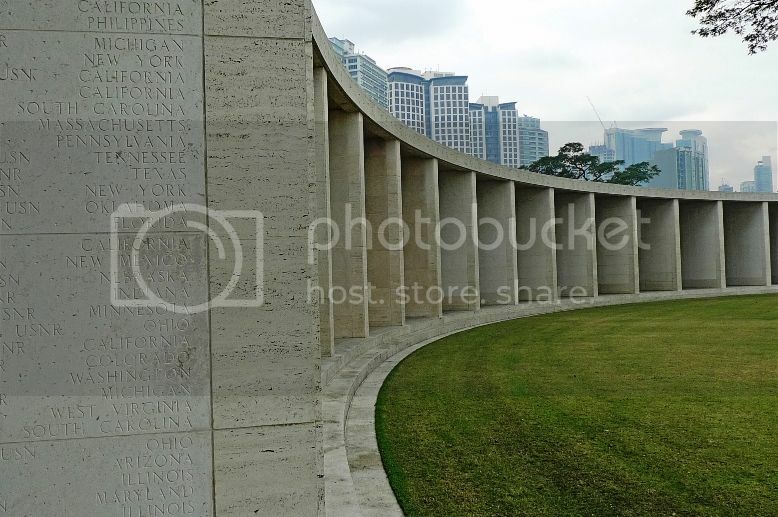 The semi circular Memorial building can be seen from this angle. 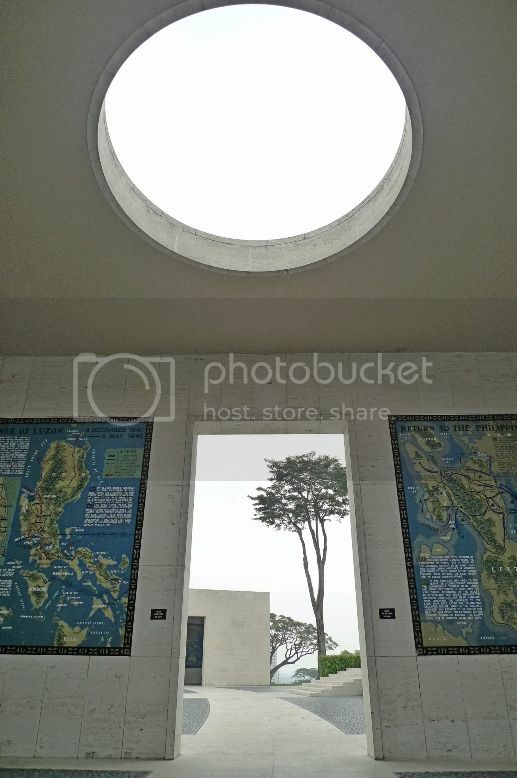 After spending about one hour at the Manila American Cemetery And Memorial, it was time for me to leave. I found the taxi driver waiting for me outside his car. I was glad that I managed to experience a different side of Manila. 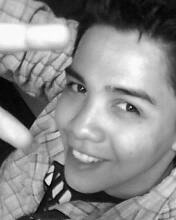 Now I that have enjoyed the peace and tranquility, it's time to hit the shopping malls in Makati!